Early this year, Liquid Telecom announced plans to launch different product offerings to for the market. The firm announced the launch of its Hai internet service targeting the retail market segment which includes packages targeting small businesses as well as home connections. 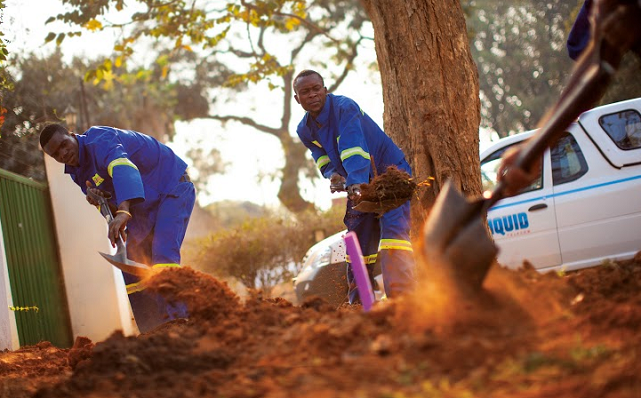 As a value added service, Liquid will be offering subscribers ipidi TV, a video-on-demand service. The firm also announced it would be looking to launch a data protection service. The service Crash Plan allows continuous and automatic backup of every version of every file on every user’s device within an enterprise. It then compresses, encrypts and then backs up the data to the cloud, for protection in case of outages. Outages may result from viruses, power surges, power cuts and naturaldisasters, or from data theft or sabotage. According to data protection study conducted by EMC in 2014, data losses and consequent business downtime cost global businesses over $1.7 trillion a year. Local firm Compfix Data estimates that over 45 terabytes of data is lost every year, with serious economic impact. A company that suffers an outage of 10 days or more due to the loss of crucial data can never fully recover financially, and 50 per cent of such companies go out of business completely. The product is predominantly deployed on a pay-as-you-go model, meaning that where a file is lost, it can be recovered without involving the IT department or any specialists. The users simply download the lost file from any device or location. The service is being launched in collaboration with American company Code42, that offers data protection with Liquid Telecom also offering the data center service for management of the solution.